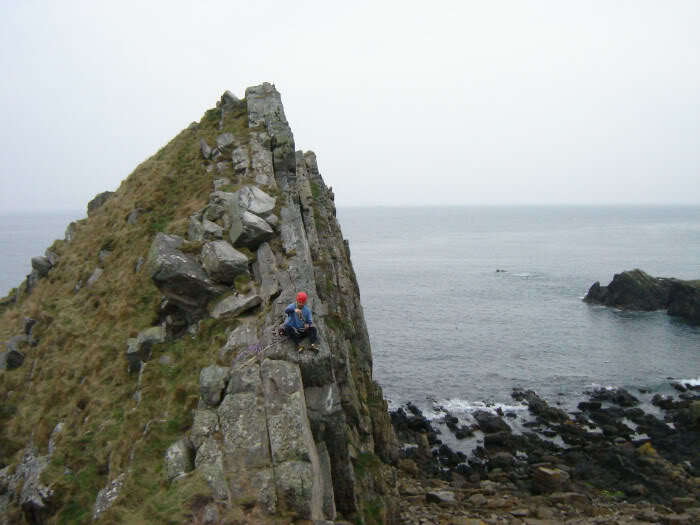 Four club members attended an unofficial, informal meet to Logiehead, near Cullen. 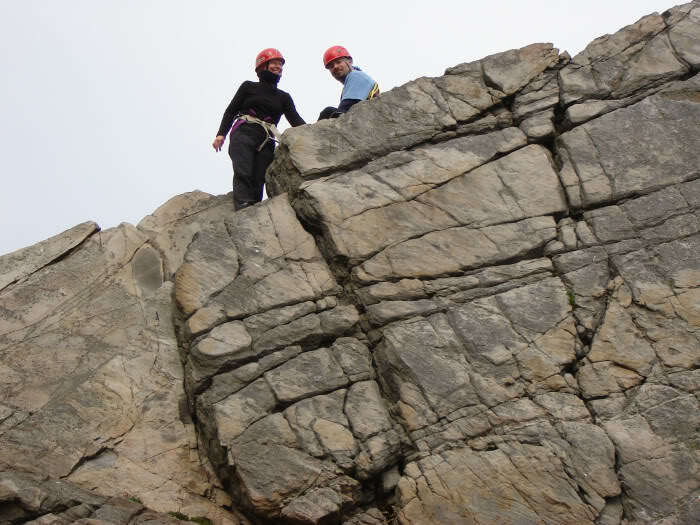 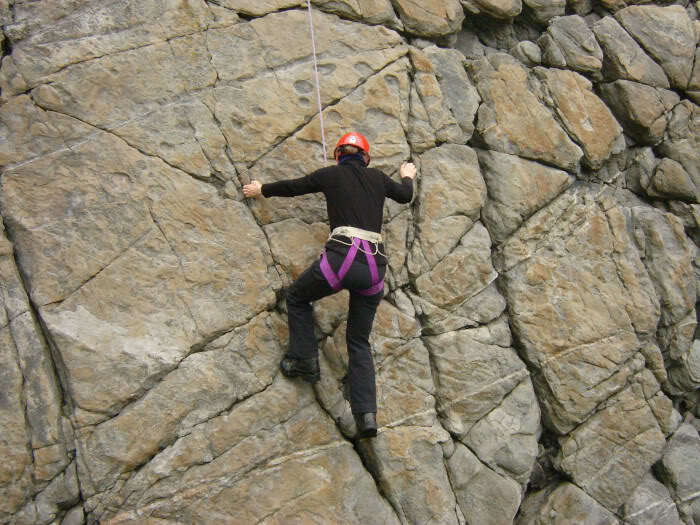 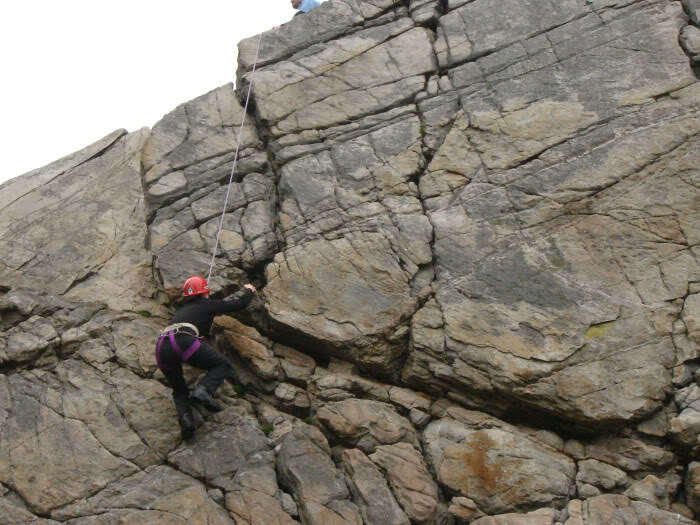 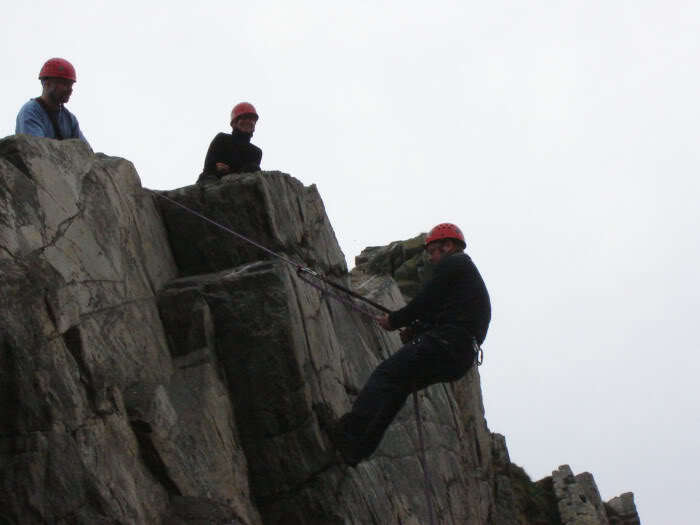 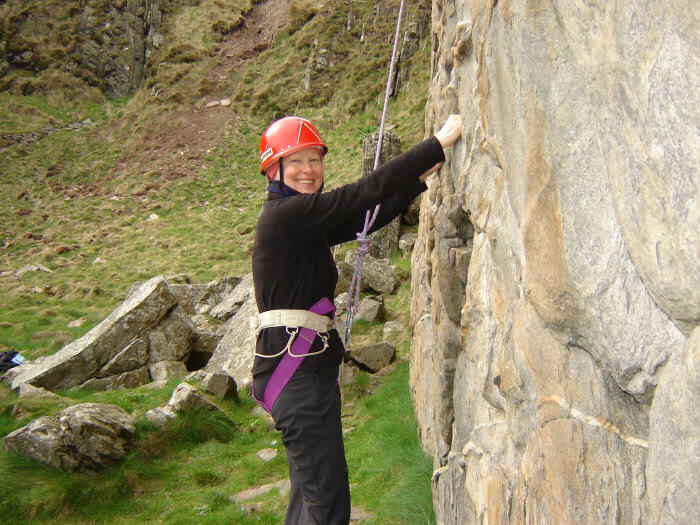 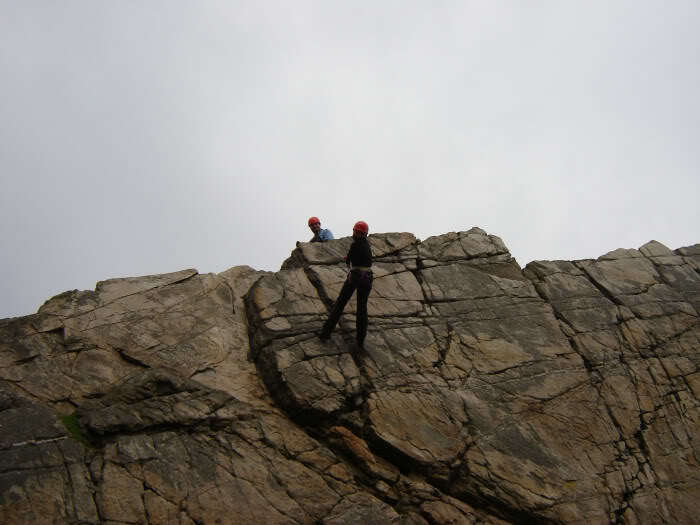 Several climbs and abseils were undertaken. 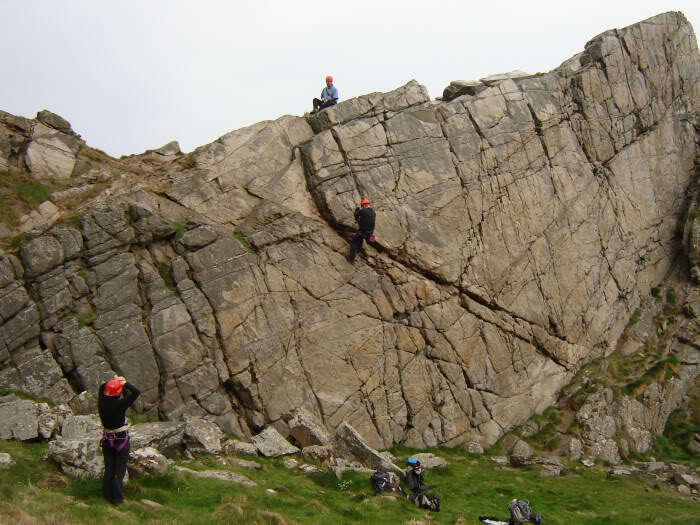 A selection of photos below from the day out. 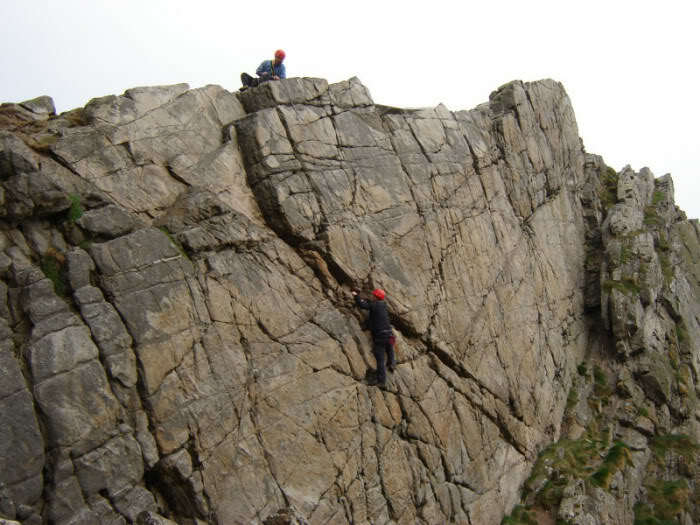 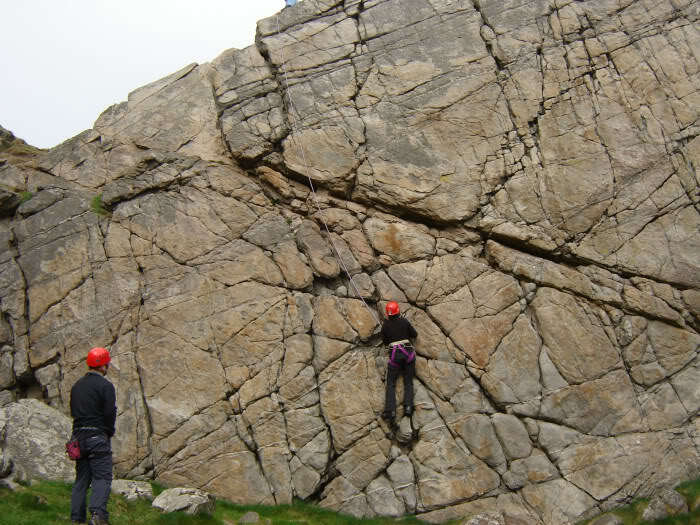 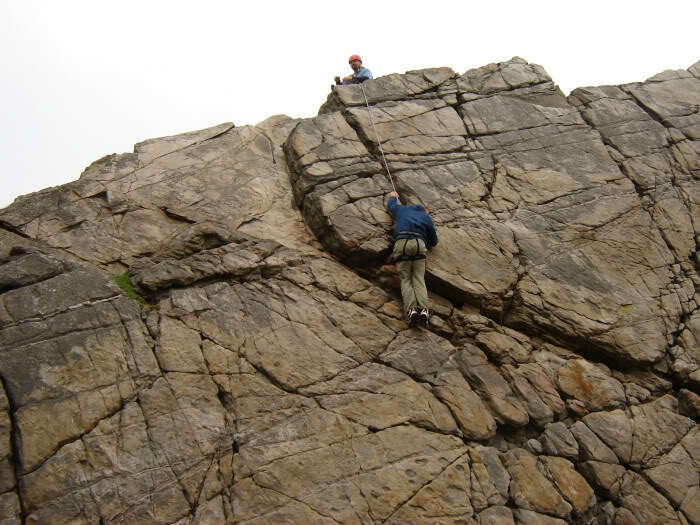 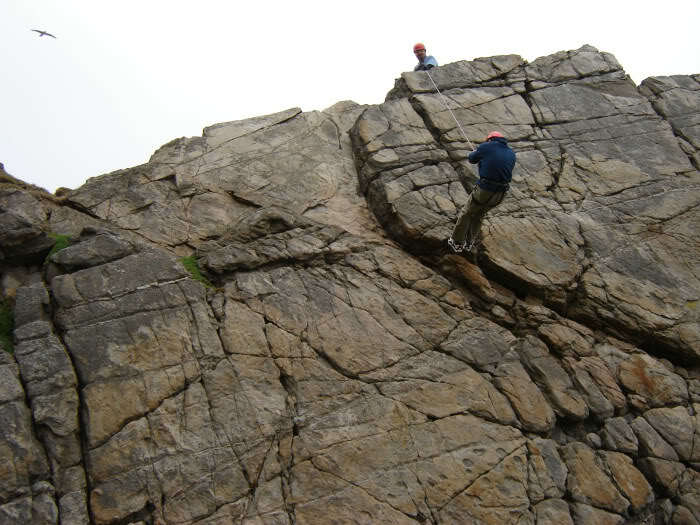 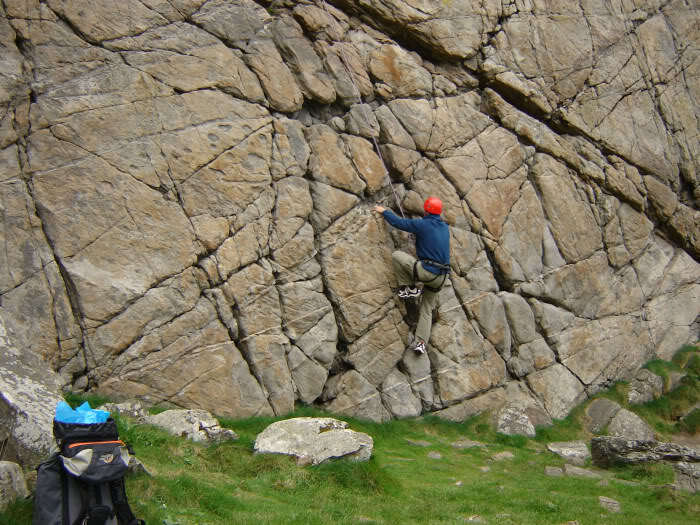 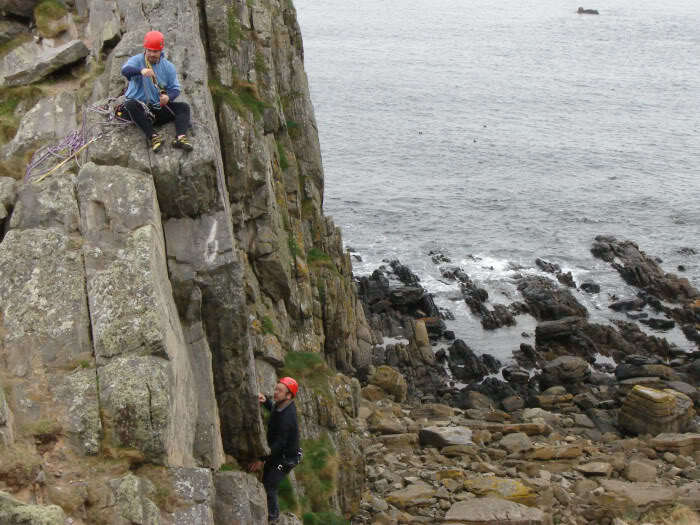 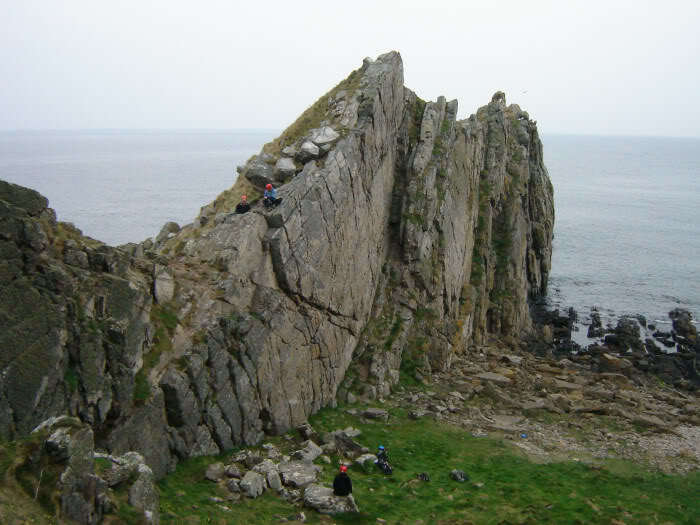 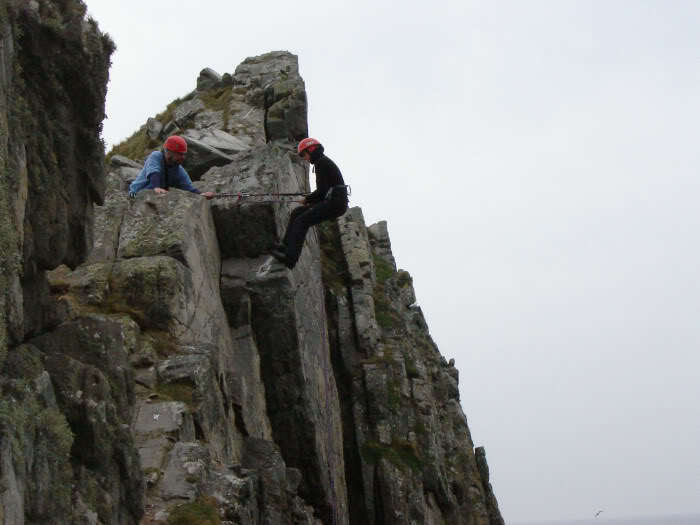 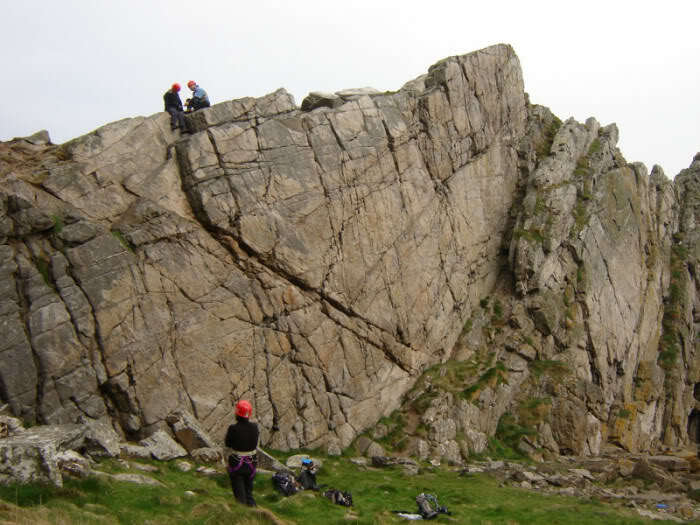 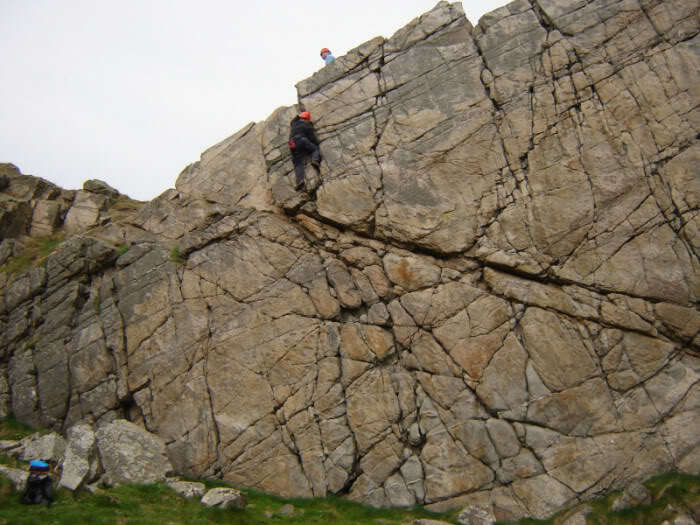 Malcolm then climbed "Sea Urchin" (10m Hard Severe 4b) - unfortunately no photo. 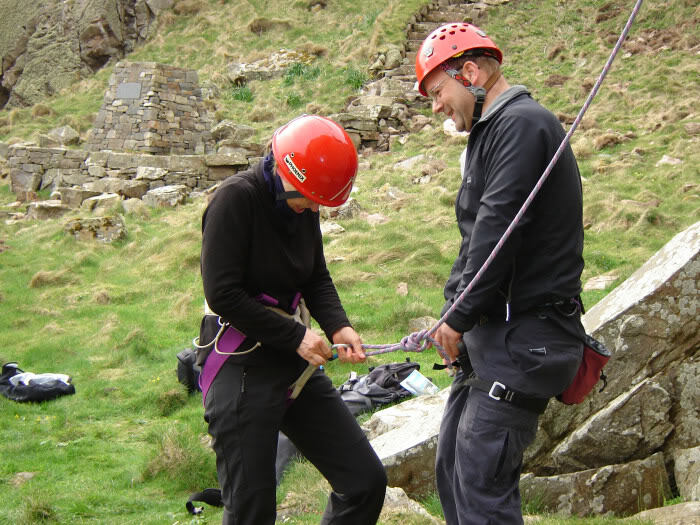 Malcolm, Bob and Kasia then took turns to undertake an abseil (without a safety rope, but backed up with a prussic loop). 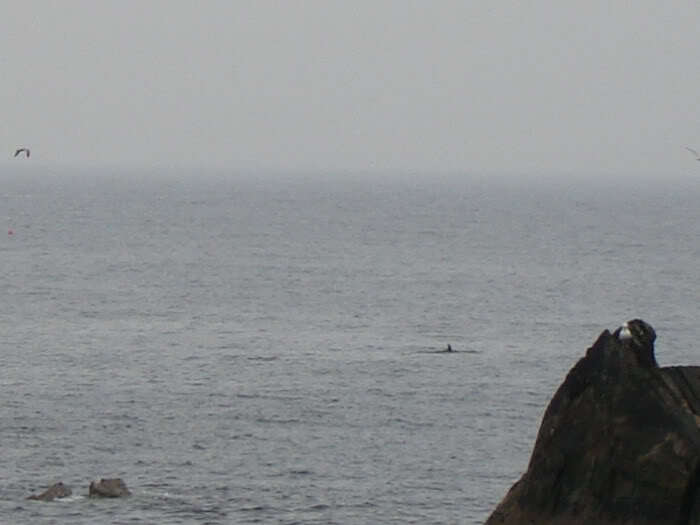 We were then lucky enough to see several dolphins. 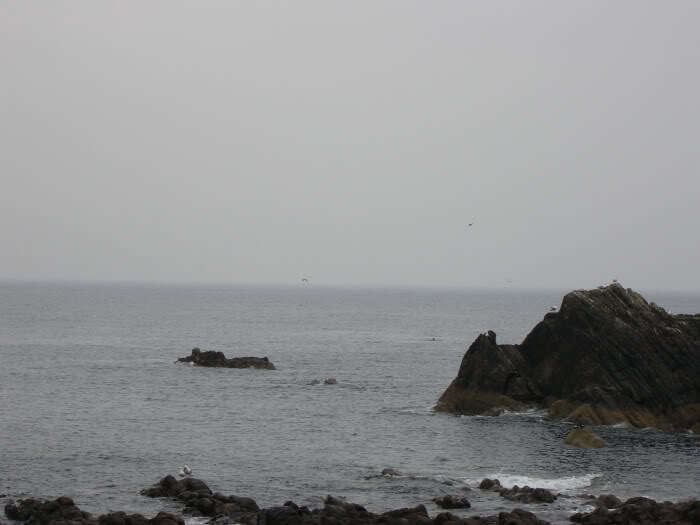 Unfortunately, by the time I got the camera out they were just about past. 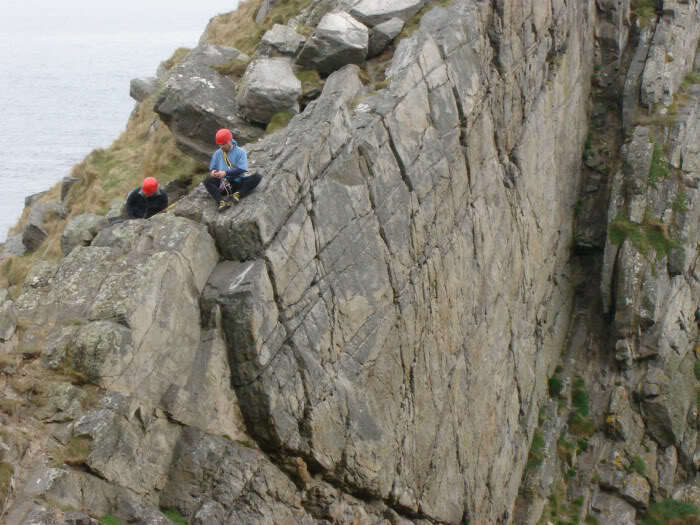 After lunch, Andy soloed "Mousehole" (5m Severe 4b). 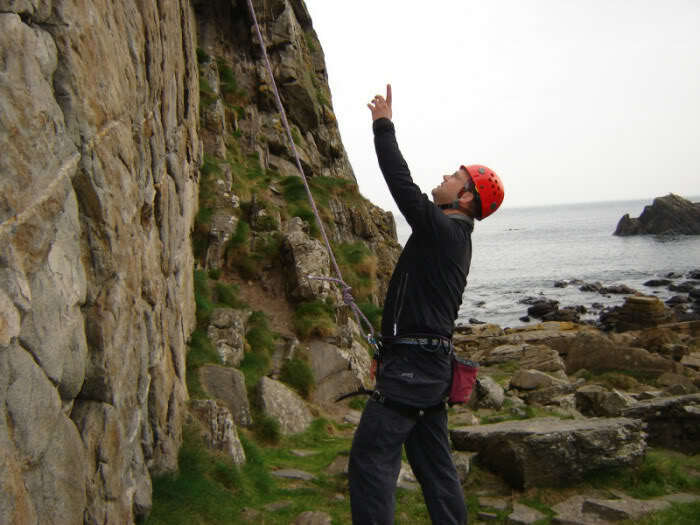 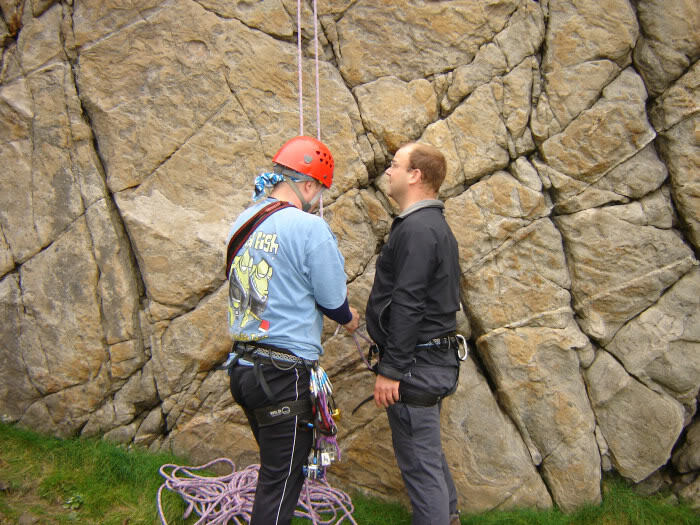 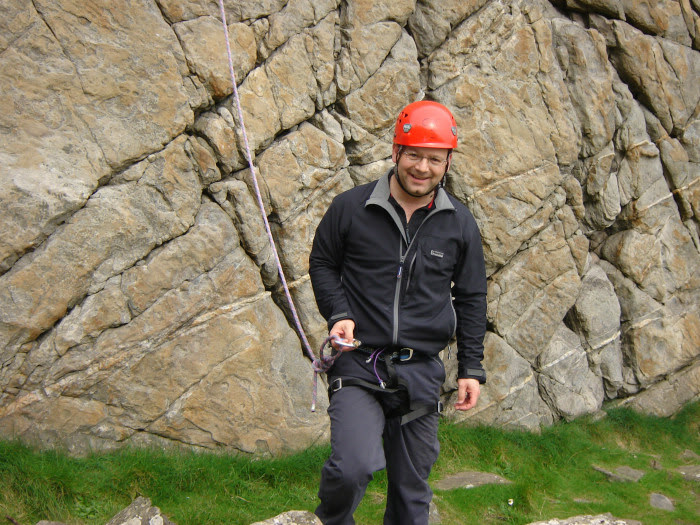 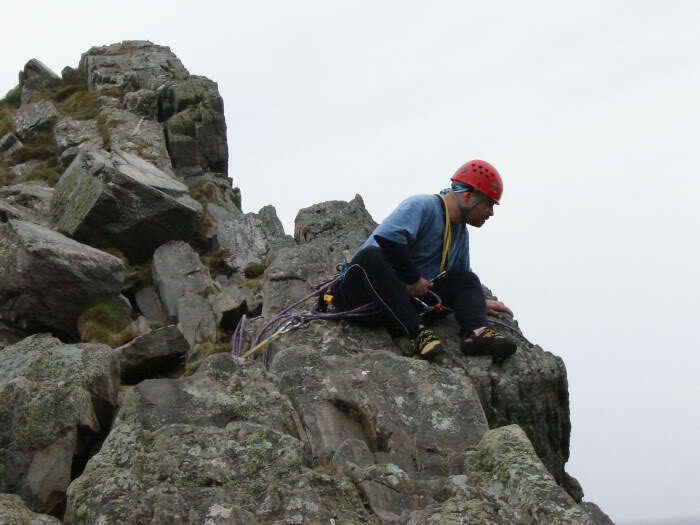 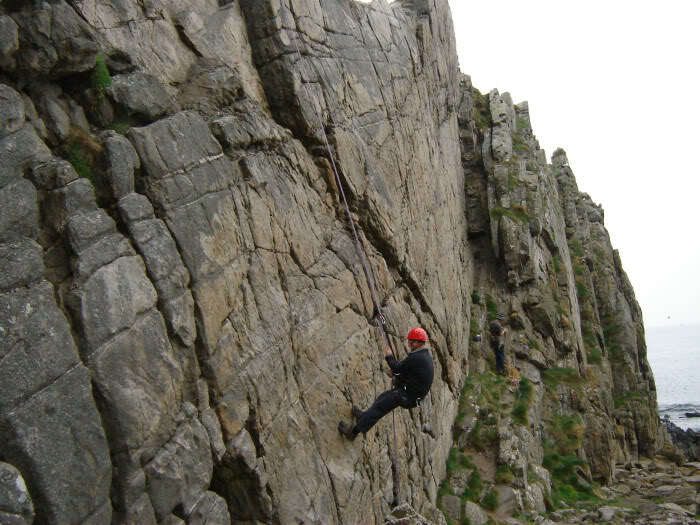 Andy then demonstrated belaying as well as how to ascend a rope using two prussic loops, as 'ascenders'. 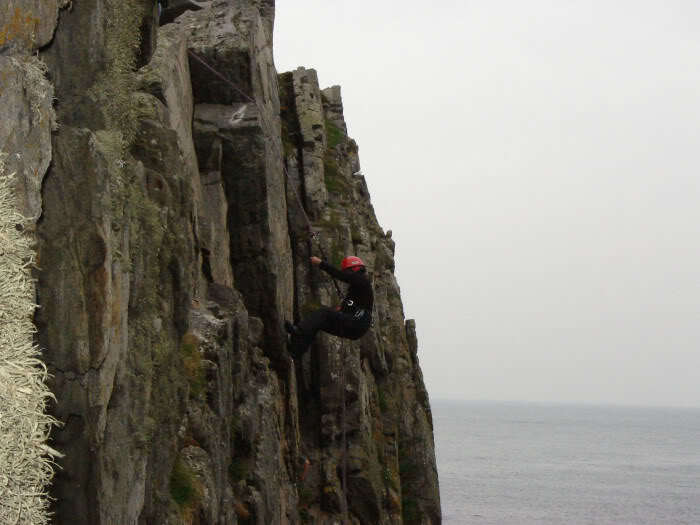 Hopefully an enjoyable day out which was cut a wee bit short as it started raining. 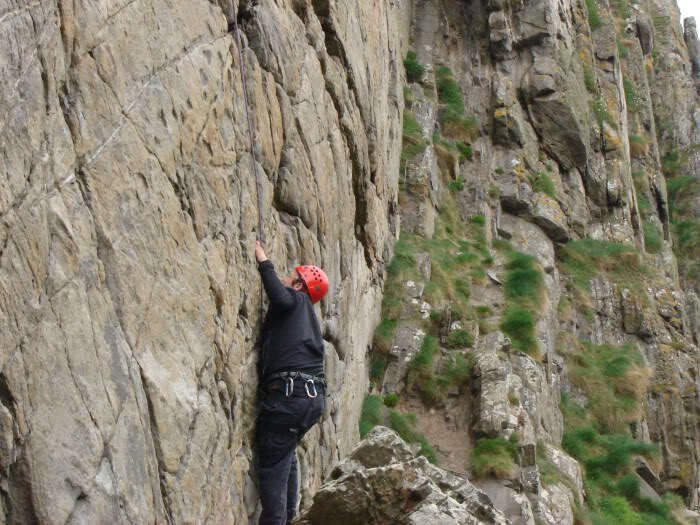 Ice cream in Cullen was also very enjoyable.